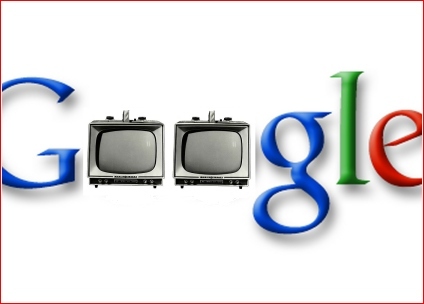 Google announced their Google TV platform. SAN FRANCISCO, Calif. (May 20, 2010) – Today at the Google I/O developer conference in San Francisco, leading industry players announced the development of Google TV – an open platform that adds the power of the web to the television viewing experience, ushering in a new category of devices for the living room. Intel, Sony, and Logitech, together with Best Buy, DISH Network and Adobe, joined Google (NASDAQ: GOOG) on stage to announce their support for Google TV. Eric Schmidt discusses the connectivity CEOs - Intel, Sony, Logitech, BestBuy, DishNetwork, and Adobe. Eric has his own version of upstaging Steve Jobs. The Intel Atom CE4100 processor will power both the Logitech and Sony devices. Paul Otellini, Intel President and CEO praised the collaborative effort and said TV as we know it was being “reinvented.” "Today marks the next step in the evolution of TV to Smart TV. TV’s are becoming smarter as a result of the microprocessor and the Internet. Traditional TV programming will be merged seamlessly with the infinite amount of content on the Internet to enable every viewer to determine what they want to watch, when they want it. This is Moore’s Law transforming television, powered by the performance of Intel microprocessors." This is potentially a huge use for Google Data Center build out. Watching the video, reminds me of Microsoft's mishandling of the WebTV acquisition. Microsoft owned the early mover on much of these ideas, but Google was the one who connected the whole system to the data center assets, and inserted Android where people have used Windows MediaCenter PC. Sony's participation would also signal future directions for Playstation 4. Google has launched a new platform that should worry Microsoft, Amazon, Apple, Netflix, and any others who want to leverage video. The YouTube acquisition allows Google to analyze what video is popular.